Reflections of a Grady Doctor: If I can't see your face, I will remember your smile. If I can't see your face, I will remember your smile. But can this be right? I just love you, I just love you, can't you see? When I lose my way, your love comes smiling on me. ~ from Anita Baker's "You Bring Me Joy"
I heard this song playing on my mental iPod today. A song we both loved and one that now has more meaning to me since you've left your earthly body. So simple, right? You bring me joy. Yes. "This is going to be what you want it to be." Because I think you would have wanted us to all be more glad than sad. So you know what? This is going to be what you want it to be. But I just love you. Can't you see? So on days like today, the day that you would have turned 46, it's kind of hard to not be reminded of how much I miss you. You would've been somewhere dancing and laughing and celebrating. Your voice would be down to a tiny squeak because whenever you had a good time, you'd lose your voice. And that part, not hearing and seeing that part? It gets a little hard sometimes. But this is going to be what you want it to be. It is. More glad than sad. And a day of joy. Even if it's periodically dampened by my sunshowers. Sent the boys off for their first day of school. Reminded them that it is special that the first day of school is on Auntie's birthday and to keep that in a pocket in their hearts all year long. Smiled when Isaiah said, "I know it's going to be a good year. How could it not be if I'm starting on the day Auntie was born?" Wore red and white today which I know you would love. And when I get to work, I'm going to pin a violet to my lapel, too. When people ask about it, I am going to tell them. Wrote an essay dedicated to you and submitted it to a journal yesterday. Signed, sealed and delivered. Cried the whole way through it, but it felt important and right. As soon as I finished it, I called Daddy at 2 o'clock in the morning and read it to him. I cried all the way through reading it to him, too. Even if they don't accept it for publication, it felt good to write it and I think you would have liked it. And now that I think of it, you would say this to me in response to that last statement: "Go into all things thinking you will win and planning on winning. Deal with losing only if it happens. The less you consider losing, the less you'll have to." So maybe I will think like it will get published, okay? Going to go for a run. No matter what, I'm going to get one in and I'm going to listen to a playlist of songs you'd love. Going to make sure the people that I love know it. Going to tell Harry how wonderful he is and tell him again a few hours later. Then tell JoLai and Will and Fran the same thing. Again and again. Going to take excellent care of my patients. And not be afraid to help them make good choices. Going to teach somebody something and be patient when I do. Going to encourage somebody and remind them about what you said about thinking like a winner. That advice really helped me. Going to let my eyes light up when I see the kids after school. Going to think about you. And just maybe, I'll scream and shout until I lose my voice. Thank you, baby. You still bring me joy. I miss you so much. Especially today. And this, too. Because all who knew you know that you wrote a song for love. Thinking about you today and all of your family whom I know are grieving and celebrating at the same time. 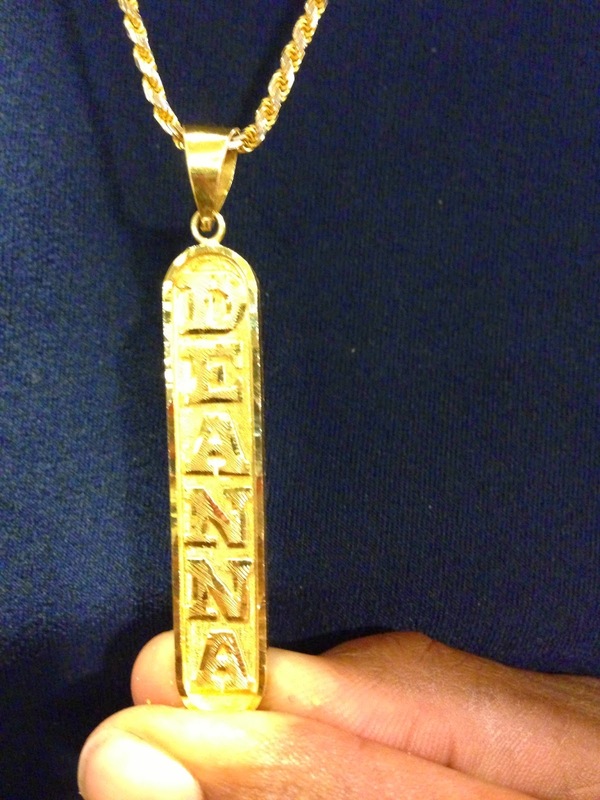 Happy born day Deanna. You honor your sister in wonderful ways. I love that list you made. I love what you told your boys. I especially love what Isaiah said in return. Your sister is with you still, and she is smiling. I've been reading your blog for a while, but this is my first time commenting. Today is my birthday as well. While I enjoy the birthday wishes, this post has made me reflect on the gift that life is and to share the joy with others. I made it through the day. Let myself cry when I needed to. Took the day off, walked a 5K, went to lunch & a movie. I was more glad than sad. I have followed your blog for quite awhile but haven't commented recently. Your video of your sister has left me teary in front of my computer. She had a beautiful smile - your photos are lovely. Thank you for sharing.